"I’ve been designing my signature guitar in my head since I started playing guitar- and the JIVA is that dream come to life. From the tone woods to the sleek design to the incredibly versatile sounds, this guitar is everything I've ever wanted!" Los Angeles born guitarist Nita Strauss has become a force to be reckoned with in the music world, dazzling audiences across the US, UK, Europe, South America, Asia, Australia and Africa, and sharing the stage with a diverse range of artists including rock legend Alice Cooper, R&B star Jermaine Jackson, early MTV darlings Femme Fatale, video game supergroup Critical Hit and popular tribute band The Iron Maidens. Her skill, exuberant stage presence and love for all things about her instrument have earned her a stellar reputation and endorsements from many top companies. Nita has been featured in many worldwide print magazines and on dozens of albums, trailers, and soundtracks, including Heroes Of The Storm (Blizzard) and Grammy-nominated Metal Gear Rising: Revengeance (Konami/ Platinum Games); and is the author of the Guitar World magazine monthly column "Like a Hurricane." Nita was also the official in-house guitarist for the LA KISS, the arena football team owned by Paul Stanley and Gene Simmons of KISS. 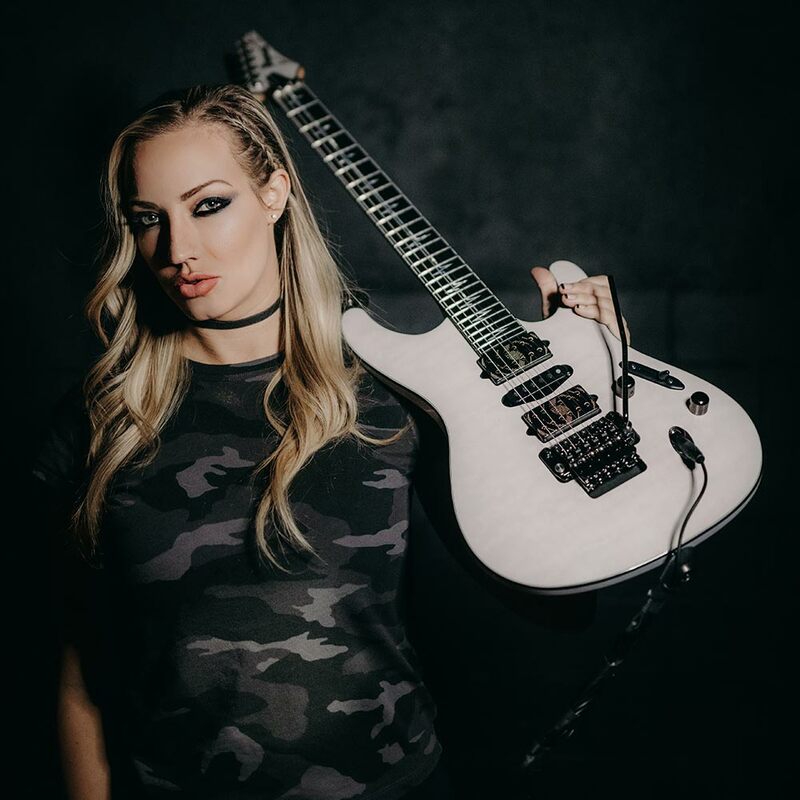 In 2018, Nita became the first ever female to become a signature artist with Ibanez guitars. Her signature guitar, the Ibanez JIVA, will hit stores in the summer of 2018. She also launched a signature set of DiMarzio Pandemonium pickups. Nita is one of the most sought after clinicians in the industry today and has done extensive clinic tours across multiple continents. Her consistent touring schedule has led her to play hundreds of shows a year, in front of over a million audience members every year. Nita is currently playing guitar for Alice Cooper and her bands We Start Wars and The Starbreakers, and working on her debut solo record, Controlled Chaos.